Did you know that .com is the most popular TLD and what makes it a super choice for your website? Probably the following lines will present a different point of view to the popular domain and help you discover its exceptional advantages. Do not underestimate them. First of all, this is the most common domain extension on a global scale. Its rich and long history dates back to 1985 which means it is familiar to most of the www. users. .com symbolizes the idea of sales and trade since it has been used mainly by businesses with trade and advertising subjects of activity. It empowers your website's authority because of the trust it inspires among the tech community. Registering such an extension is very easy and only takes a few minutes. Web users usually type .com when searching a random URL which means that the chance for them to stumble upon your page is very high. You could attract visitors from the whole world. The .com extension is easily recognized and dominating on the web. Upon starting a web project this is a not pricey and affordable solution. In the long term it influences your image positively because of the high added value and good reputation it offers. It is used by companies, brands and influencers worldwide because it is the most popular among all other domains. By choosing .com TLD you guarantee sustainable development in the right direction for your business. It allows your digital ownership to be easily identified on the web. Make sure the desired name for your future website is free and hurry up to register it before someone else does it. The first registered domain name is symbolics.com. It became publicly accessible on March 15th, 1985. The most expensive domain is vacationrentals.com, which was sold in 2007 for the impressive amount of 35 million dollars. In 1997 all domains with the extension .com were sold out. Coca-Cola owns 61 variants on the domain Ahh.com, including one with 61 Hs. Almost half of the registered .com domains consist of two or more popular keywords, leading users to the idea of the business they present. If you also know an interesting and not so famous fact for a .com domain you can share it in a comment below this article. When you are wondering about what domain name to choose, take into consideration the information above. Remember that the trust and recognition of your audience are the biggest awards you can ever get. By choosing .com you have already won half of your users’ hearts. Investing in useful content and fancy interface could help you win the rest. 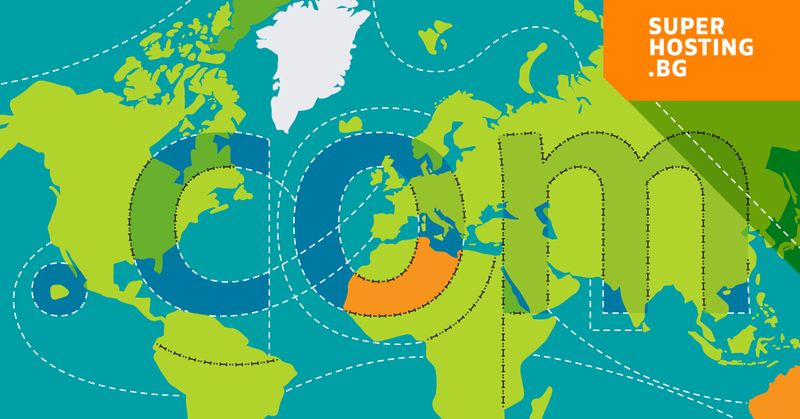 Tip: Get your .com domain today for only € 12.75 per year and start your web project. By all means - call her SuperZvezdi. With her exquisite taste, Zvezdi adds to any marketing project a touch of grace and aristocracy. Always shoots for the stars and never gives up on constant learning. Zvezdi's SuperPower is her disarming smile that makes the impossible – possible. It won't be a lie if we say she wakes up each morning with the intention of helping others. This makes her a trusted colleague and a wonderful friend. Professional Website? You Can Count on the .PRO Domain!